It’s the most Magical time of the year. With holiday lights on homes gleaming, the trees decorated and twinkling, many find riding their bikes through the neighborhood in late December a memorable experience. 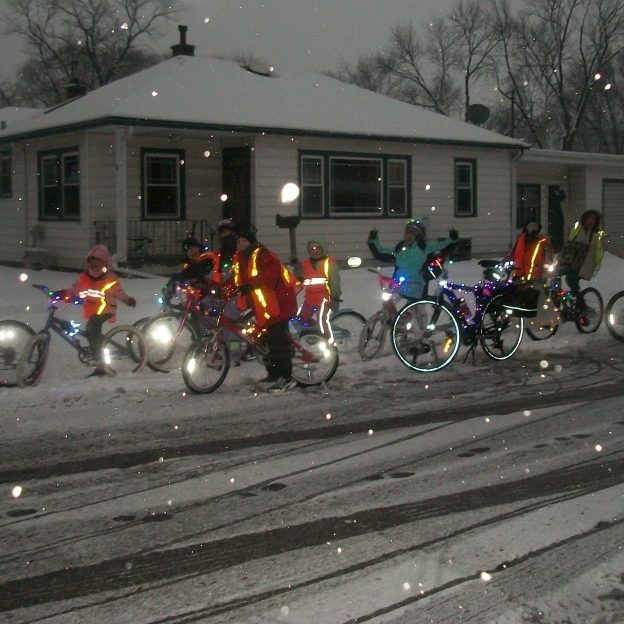 Here in this photo, taken last winter kids are out enjoying the experience snow biking. As you patiently wait for Santa to arrive, check out all the places to explore in 2017 with your family in the new Minnesota Bike/Hike Guide. This entry was posted in News and tagged #bikelights, #lights, #magic, #magical, #magicalmonday, #nextadventure, #nextbikeadventure, #onlyinMN, #snow, #snowbiking, #tykebike, #winterbiking, Bike Guide Minnesota, Bike Guide MN, Christmas, free bike maps, Magical Time, Minnesota, Minnesota Bike Guide, MN, MN Bike Guide, winter on December 19, 2016 by Stephanie Hunt.